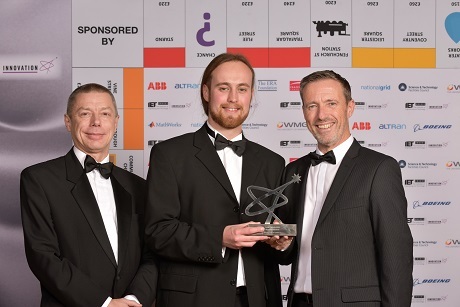 Held at the Brewery in London, the IET's annual Innovation Awards celebrated the very best in new innovations in science, engineering and technology and showcased entries from around the world. Frazer-Nash would like to congratulate Glasswall Solutions on winning the Cyber Security Award. Glasswall eliminates zero-day document-based malware attacks whilst preserving document integrity. After eight years research and development, Glasswall has been designed and built in the UK and has been granted patents across global jurisdictions. A full list of Innovation Award winners can be found here. Frazer-Nash Business Director, Bill Hodson, was one of the category judges. Describing the judging process, he said: "There were some tough decisions that had to be taken to narrow the selection down to just five shortlisted entries, but the ones chosen stood out for their novel approach to addressing today's cyber security problems. "The winner stood out because its disruptive technology delivers a unique approach to a very complex challenge." You can view Bill's IET interview here. Information on Frazer-Nash's expertise in security and resilience and our capability in cyber security can be viewed here.